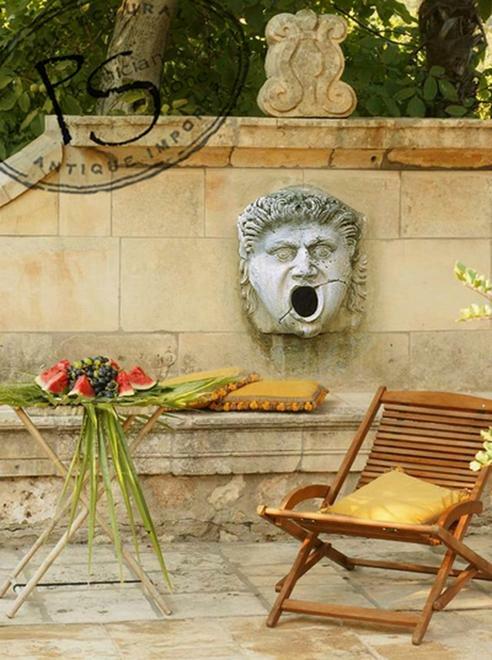 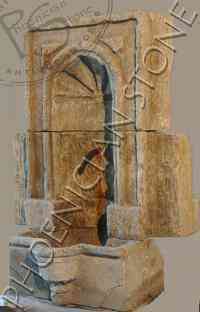 Sophisticated wine connoisseurs cherish the beauty and style of hand-carved stone wall fountains. 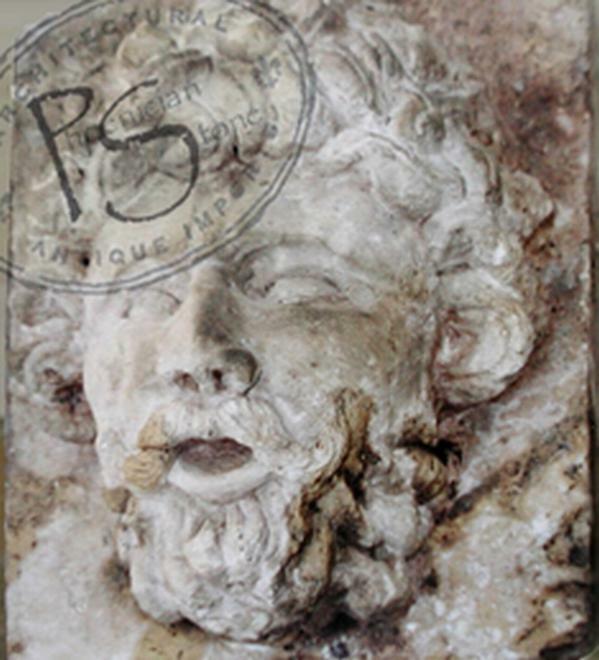 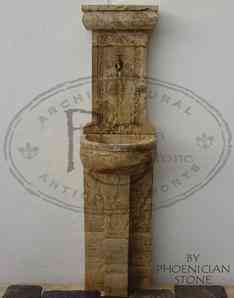 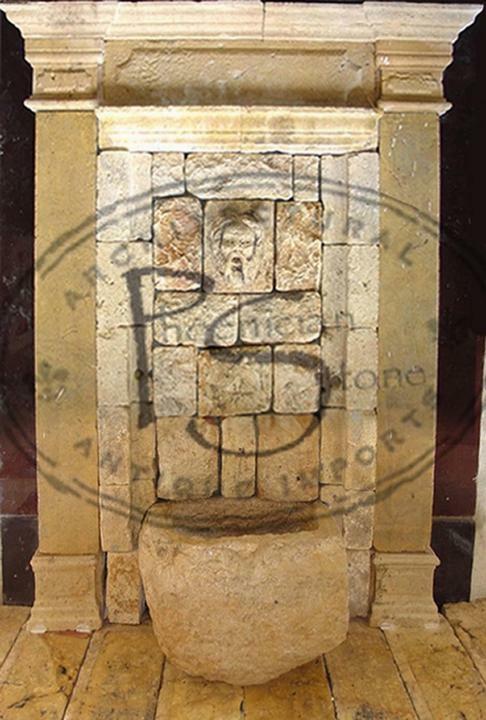 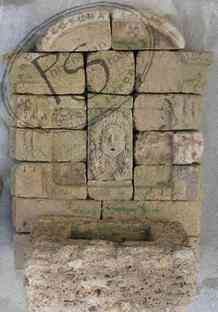 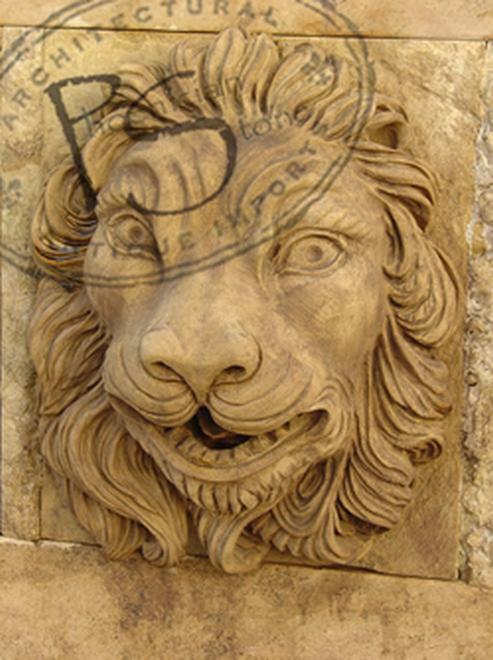 We offer authentic, antique wall fountains from our reclamation projects throughout Europe and the Old World. These historical masterpieces reflect the natural beauty of quarried stone and are perfect for use in both your wine cellar and your wine tasting room. 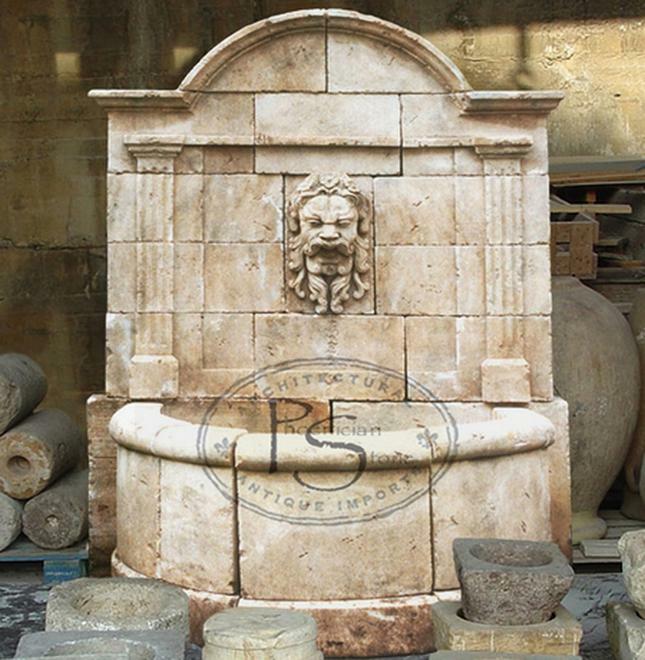 Fountains were a fixture in gardens of the ancient world. In Rome, water distributed from a castellum to many public fountains supplied the populace with drinking water. 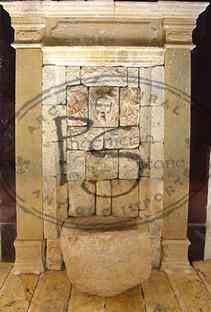 Early Christians placed fountains in atrium courtyards as symbols of purification, like Old St. Peter's in Rome. 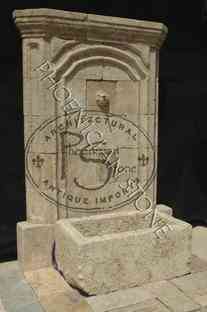 Courtyard fountains were later used in monasteries throughout western Europe and Byzantium. The late Middle Ages saw the development of decorative table fountains. The Renaissance in Italy began a new style of fountains with sculptures becoming prominent. Mesopotamian fountains, Ancient Greek fountains, Ancient Roman fountains, Medieval fountains, Moorish fountains, Persian fountains, Mughal fountains and Ottoman fountains, Renaissance fountains from the 15th century to the 17th century, Baroque fountains from the 17th century to the 18th century, as well as modern day fountains from the 19th century onward all represent unique and distinctive styles. 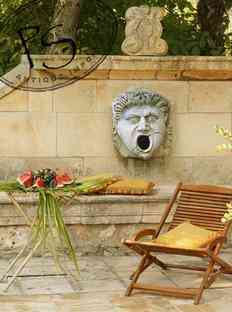 We will help you identify the perfect style to match your custom designed wine cellar or wine tasting room.